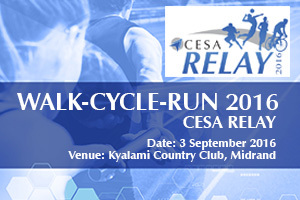 The ANNUAL CESA RELAY 2016 was held on Saturday, 3 September 2016 at the Kyalami Country Club, Midrand. The engineering sector witnessed the South African Engineering version of the Oscars. The cream of the crop of the engineering industry, gathered in a night filled with glitz and glamour to celebrate, honour and reward engineering excellence. 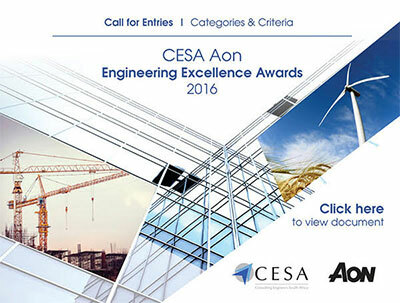 In a celebration of innovation, quality, outstanding workmanship and professionalism in the industry, Consulting Engineers South Africa’s (CESA) supported by Aon South Africa hosted the prestigious CESA Aon Engineering Excellence Awards at Vodaworld in Midrand. CESA has been hosting the Awards for the past 44 years. CESA members get 15% discount on registration for the Green Building Convention which takes place from 26 – 28 July. The "Strategy That Works" Seminar will be held on 1 and 2 August 2016 at Bytes Conference Centre in Midrand. It is with these wise words of wisdom in mind, that Consulting Engineers South Africa (CESA) and its Young Professionals Forum (YPF) introduced a Job Shadowing Initiative, which is in its eighth year and aims to unearth South Africa’s future engineers. The Consulting Engineers South Africa (CESA) Bi-annual Economic and Capacity Survey for the period July to December 2015, just released indicates that times are tough and getting tougher with industry confidence the lowest in 16 years. The report indicates that the consulting engineering industry will have to adapt to a low growth environment as the outlook for infrastructure spending is hampered by poor economic growth, lower than expected revenue by government, international economic instability and price volatility, and low private sector confidence. "It means we must give greater impetus to sectors and industries where we have competitive advantages. And it means being bold where there is need for structural change, innovation and doing things differently. We need agility and urgency in implementation," stated Gordhan. Ensuring Public Health and Safety is Best Managed Proactively! 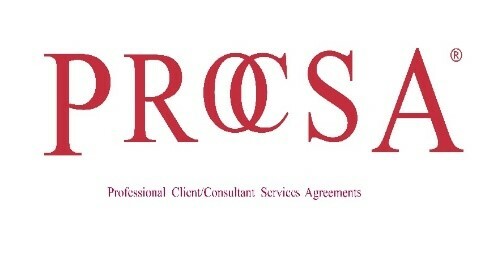 Consulting Engineers South Africa (CESA) believes that the recent decision by the Competitions Commission to reject the application for exemption of Identification of Engineering Work amendments to the Engineering Professions Act (EPA) (46 of 2000) is in part short sighted and with insufficient insight into the risks to public health and safety of the beloved citizenry of this Country.